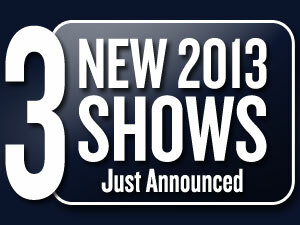 Home > News > News > Three New 2013 Concerts Just Announced! Three New 2013 Concerts Just Announced! One of the most popular funk bands of the 1970s … More Earth, Wind & Fire info. ZZ Top, the self-described “little ol’ band from Texas,” … More ZZ Top info. Jackson Browne’s laid-back, folk/rock style … More Jackson Browne info. We also have concerts by Olivia Newton-John, Rodney Atkins, The Beach Boys, and Chicago. See our complete list of upcoming shows.